How to settle a car accident injury case? If you are injured in a car accident, your focus is being torn many different ways. You have to focus on setting up medical appointments, go to medical appointments, do the treatment, fill out insurance claim information, get a hold of insurance adjusters to get your claims paid, call places to get your car repaired, get your car repaired, answer phone calls from insurance companies trying to settle your case when you are not ready, and live your normal busy life. Dealing with insurance companies is no fun and by hiring a personal injury lawyer, you can relax and trust that your going to be getting the max amount for your case and your medical bills are getting paid or will be paid soon. It takes the guessing game out of so much of your case allowing you to focus on healing and living your life, which is already a lot to do. What if you wanted to settle your case on your own with hiring a Seattle car accident injury lawyer? You can absolutely do this, even though studies have shown that hiring a personal injury lawyer will put more money in your pocket than negotiating on your own. Here are some tips on settling your car accident injury case on your own. Know the statute of limitations – This is the amount of time you have to settle your case before you will lose your rights. In Seattle and Washington State, you have three (3) years to settle or file a lawsuit on your car accident injury case. This varies from state to state and type of injuries, like medical mal practice, so check your state laws. When should you start settling your case? – You should start settling your case when you are fully healed and done with treatment or you are close to the statute of limitations. The reason for this is because you want to know how much it is going to cost to get you back to normal. For Seattle cases, you can afford to wait to get all the treatment that you need because the statute of limitations is three (3) years. In other states, you may have to settle your case before you are done with treatment. Waiting until you are fully healed will allow you to collect all your medical bills, receipts for medications, and figure out your lost wages. Know what you are entitled to – You are entitled to compensation for your medical bills, prescription costs, costs of help or assistance you required while you were healing, lost wages, future lost wages, compensation for disability, and pain and suffering among other things. If you do not hire a car accident injury lawyer and your insurance company paid for your medical bills, your insurance company will collect the medical bills that they paid directly from the at fault insurance company and this will not be part of what you recover. However, if you had to pay co-pays for your doctors visits, keep track of these and include them in the settlement demand. What do you send to the insurance company? – You are going to create an insurance demand to send to the adjuster representing the defendant who caused your car accident. You should collect all your medical records and bills from all of your treatment providers. Once you have them all, you should write a letter to the insurance company that summarizes what you went through in the eyes of the doctors and yourself. You should find key dates in your medical records that state times where you were in a lot of pain and not the dates in the letter and state what you felt. You should note key dates when your doctors diagnosed you with a certain injury and write that in the letter. You should also include your lost wage information like pay stubs from weeks you missed and letters from human resources stating you missed these dates. How much should I ask for? – Generally, insurance companies are going to offer you something very low to begin with in an effort to anchor your expectations to a lower number. You should combat this by starting very high, but not too high where they laugh you out of the conversation and stop dealing with you. You want to create a figure that you feel happy with accepting for what you had to go with as your middle ground between what you start off with and where they start off with, so start with a high offer above what you want to accept. After you send this letter, the insurance adjuster will go through all the medical records and bills and review your demand. They will then put certain information into a computer system program that will spit out negotiation numbers for them to start with and the most they should pay. This computer program varies by insurance company but is relatively the same. It may take them a couple weeks to get back to you with their offer. 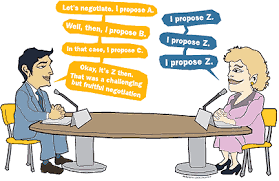 They will then send you a counter offer, this is not the most they can offer not matter what they say. They have more money available for you and are expecting you to counter their offer to you. You can either call them back and negotiate on the phone or send them another offer by email, fax, or mail. Negotiations with insurance companies can last weeks or months depending on the insurance adjuster and you. Some insurance adjusters are easy to work with and you can negotiate a good offer within a couple phone calls to them. Other insurance adjusters are very difficult to work with and can be very nasty and bossy. The mean insurance adjusters will berate you are your case and offer you little or nothing. Don’t let them get to you. Continue to be polite but forceful and never attack them personally. Continue to ask for what you deserve and lower your number until you are within striking distance of your goal settlement. This is all easier said than done and you may feel like giving in, but don’t. If you feel like you are getting no where and you are tired of dealing with nasty insurance adjusters, give a Seattle personal injury lawyer a call for a free consultation. We can take over and re-evaluate your case value and send another demand out. We can advocate for you and file a lawsuit if we do not get anywhere either. If you are looking for a Seattle Bike Accident Injury Lawyer, there are a lot of variables that you should consider when looking for someone to represent you for your injuries suffered in a bike vs car accident. Bike versus car accident injury cases are some of the most severe cases that can leave the person on the bike extremely injured. If you are injured in a bicycle versus car accident, you probably have very expensive hospital bills and probably need a lot of follow up and physical therapy. Most people cannot afford to pay all of the out of pocket costs that come with major injuries like this and are frustrated by insurance companies who continually deny paying for things. Fortunately, if you hire a personal injury lawyer to represent you, your lawyer will be able to find coverage that you may not have been able to find without their help. A good Seattle bike accident injury lawyer will be able to find you insurance coverage through the other driver’s PIP policy, your own PIP policy, your own medical insurance, or guarantee to the medical providers that they will get paid out of the settlement if they provide you with the treatment that you need now to get better. Without a personal injury lawyer, you may not be able to get your own auto insurance policy to cover your injuries while you were on a bike and you may be frustrated with your own medical insurance not covering things that they say the defendant’s insurance should cover. The defendant’s insurance will eventually pay for everything, but they will only pay for everything in one lump sum and will not pay for medical treatment as you go, like a PIP policy. Generally, the insurance company will not pay for your medical bills if you are injured in a car accident. However, if you are injured while riding a bike, as a pedestrian, or while riding as a passenger in the defendant’s car, you are entitled to their PIP policy benefits in addition to what you are entitled to. The PIP policy is good because it pays for bills now rather than later but is usually capped at $10,000. 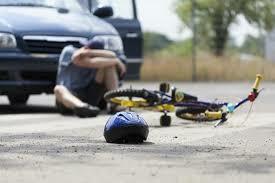 What is a Bike Rider Injured in a Car Accident Entitled To? People injured in bike versus car accidents are entitled to get their medical bills paid for, they are entitled to compensation for lost wages, they are entitled to compensation for lost future wages if they are seriously hurt and no longer to work in their same capacity, and they are entitled to pain and suffering. Lost future wages can be substantial if you required a back surgery, spinal fusion, broken bones, crushed vertebrae, any form of surgery, were paralyzed, suffered a brain injury, etc. Lost future wages are important to be figured into your settlement as this can be $100,000’s or even millions of dollars depending your injuries and your salary and earning potential. How does a bike rider injured in a car accident maximize their case value? If you are injured in a bike accident, it is vital that you do not settle your case until all of your injuries are fully healed or healed as best as they can. In Seattle, you have three years to settle your case or file a lawsuit against the person that hit you. If you do not file the lawsuit or settle the case from three years from the date of the bike on car accident, you will lose your ability to recover damages from the defendant forever. However, you do not want to settle your case early. Many insurance companies will approach you soon after the car accident with what sounds like a lot of money and say take it now or it will be gone. Or you are not hurt that bad and this is the most you can stand to gain from this car accident. These statements could not be further from the truth. It is best to have a Seattle bike accident injury lawyer look at your case before signing anything to make sure your rights are preserved and you maximize your case value. Contact the Cherin Law Firm today for a free consultation about your Seattle bike accident injury case today. We are paid out of the settlement and never ask for money up front. 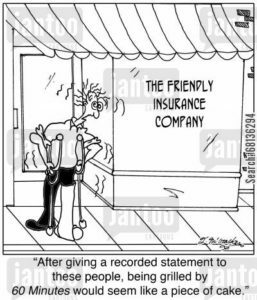 Therefore, anyone can afford to hire us but you can’t afford not to hire us against the insurance companies. What do I tell the insurance company after a car accident? The most important thing to keep in mind when speaking with an insurance company is to be very cautious and guarded, even if it is your own insurance company, because their mission is to find out whatever information benefits them. You may think that they have your best interests at heart, but they are a business and thus they want to save money by paying as little as possible to you for your car accident injuries. This means that they will either try to minimize your claim or deny it altogether, depending on the information they obtain from you. This is why it is best if you say as little as possible. Anything you say can be twisted to be used against you and in favor of the other party. When dealing with the other driver’s insurance company, it is best if you only give objective information that is requested, such as the date of the Seattle car accident, your insurance policy information, and your contact information, and that you would like to talk to your personal injury lawyer if more information is requested. You only want to give them information when they request it and nothing more. Most people will down play their injuries initially because they don’t want to be looked at as weak or meager. Additionally, people don’t want to say they are injured and how bad because they are uncomfortable talking about their pain and vulnerability after a car accident. For this reason, many men do not file a personal injury case against the insurance company and will rather tough out injuries and not seek treatment unless they need surgery. In terms of your own insurance company, you have an obligation under your insurance contract to speak with them, but you still want to be very cautious about anything you sign or about giving a recorded statement. In your recorded statement it is ok to consult with your attorney before talking. Additionally, you can say that you do not know the extent of your injuries and you are currently seeking medical treatment for the injuries you suffered in the car accident. If you have been injured in a Seattle car accident, you should think about talking to a Seattle personal injury lawyer first to determine your rights and what you are entitled to. You could be entitled to $10,000 or more for your car accident injury case. Best of all, consultations are free and Seattle personal injury lawyers are only paid out of the settlement and do not charge anything if we cannot recover anything for you. Anyone can afford a personal injury lawyer but you can’t afford not to have one against the insurance company. LimeBikes Littering Streets and No Helmets? You have seen them every where in Seattle, lately. They are littering the streets, literally. 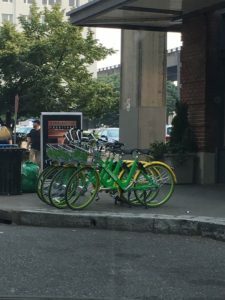 Lime Bikes is a company that has been granted a permit by the city of Seattle to offer up bikes for temporary usage around the city with purchase by your smart phone. This is another effort by the city of Seattle to create a more green and pedestrian friendly downtown free of cars. Lime Bikes are different from other bike sharing companies as these bikes are free standing and do not require a docking station to lock up the bikes. The bikes merely can be left on the sidewalk, which is unappealing to many and an eye sore. Lime Bikes have a locking mechanism and a kick stand to keep the bike up right. But the bikes are literally littering the city. LimeBike requests customers to find a spot to park the bike that doesn’t interfere with pedestrians and cars but leaving them on grass cutouts near parked cars makes the appearance of junk sitting out. Legality of LimeBikes not coming with helmets is another concern. LimeBikes do not come with helmets, which is a law in King County. LimeBike has a disclaimer and informs users that it is against the law to ride a bike without a helmet but who carries a helmet around with them? Most riders I have seen have been taking the bikes for spins without helmets, which the bikes do not prevent you from riding if you don’t have a helmet. What could LimeBike do to combat the helmet issue? Have helmets attached to the bikes! How is this so hard in today’s world. Yes, there are many different size heads but there are adjustable helmets. People will steal the helmets? Why would they want to steal a helmet and there are methods to prevent the helmet from leaving the bike. What about sanitary helmets? Helmets can include sanitary hair nets to make sure lice and other hair bacteria isn’t transmitted. To not have a helmet attached to the bike or a nearby helmet dispensary is negligence on the part of LimeBike and could expose them to lawsuits by people who are injured in bike on car accidents or any other accident where the rider hits their head. Studies have shown that people who do not wear a helmet on a bike are much more likely to suffer a traumatic brain injury or death as a result. LimeBike seems like a cool idea but there are some big kinks to be worked out like biker safety and zones to leave bikes. Yes, it is nice to have a bike readily available but at what cost? It doesn’t have to litter the streets like junk at the expense of the community and being an eye sore. Docking stations are much cleaner and preferred. We don’t need bikes lining the streets and sidewalks like abandoned property, we already have a large homeless problem that liters the streets, sadly. If you have been injured on a LimeBike, you may have some recourse. Give me a call for a free consultation. Why should this company profit off of just throwing bikes out into the street with little or no responsibility hiding behind a waiver that will not stand up in court? It won’t and can’t. Who is at fault if you hit and crash in one of the many potholes around Seattle on a bike? While many people may say that someone should have seen a pothole and got out of the way, some times it is impossible to see a pothole on the street depending on the conditions, depth of the pothole, and how many other people are on the road. Seattle is becoming notorious for not filling potholes in quickly enough. I am sure you will encounter a pothole on the next drive you take after reading this blog. Whether it is because the city has too many potholes to deal with, they are lazy, or they don’t have time to get to them, the city is responsible for filling pot holes and making sure people are safe on the roads. The city of Seattle is responsible for filling potholes on city streets and some other roads as well. If a bicyclist is injured because they run into a pothole, the city is responsible for the resulting injuries including bicycle replacement, medical bills, lost wages, and pain and suffering. If there are permanent injuries, the city is also responsible for future lost wages, future medical bills, and other damages resulting from the fall. 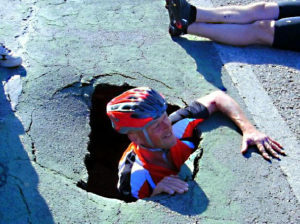 If you are injured by a fall due to a pothole in Seattle, you need to hurry to preserve your case. Generally, there is a three year statute of limitations for personal injury cases in Seattle, Washington. This means that you have three years to file a lawsuit or settle a case against the city of Seattle. In addition to this, the city has a notice requirement that states that you must give them 60 days advance notice before filing a lawsuit against the city, in accordance with RCW 4.96.020. This means you must fill out a claim form on Seattle’s municipal website and mail it in to them following the directions on the website. If you are injured in a bike accident on a Seattle street, it is best to contact a Seattle personal injury lawyer to figure out your rights and compensation possibly owed to you. Most offer free consultations and are paid out of the settlement. This means that everyone can afford a personal injury lawyer, but you cannot afford to not hire one.